Despite a rare genetic disorder that confined him to a wheelchair most of the time, 17-year-old Timothy Rau learned to downhill ski on a snowbike, climbed mountains and did the Iditarod with the Make a Wish Foundation. 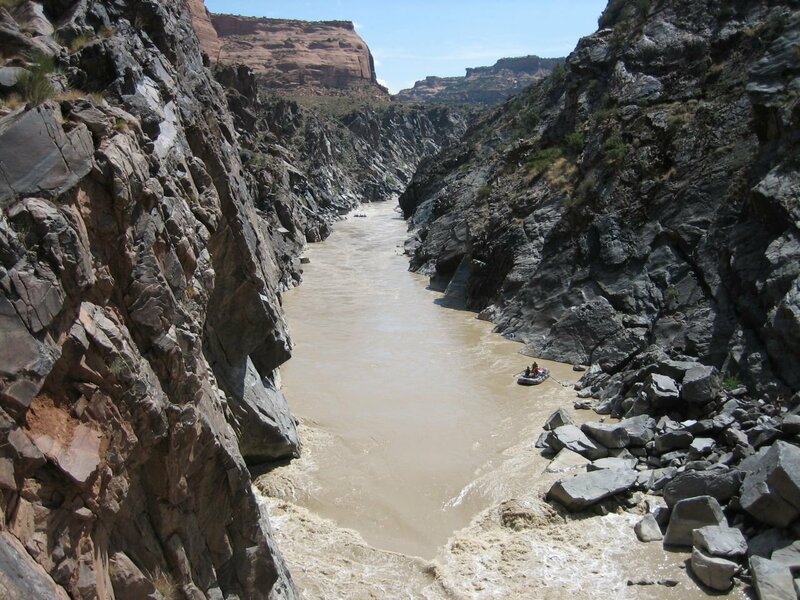 The Fraser, Colo., teen was rafting on the Colorado River on Saturday when the craft overturned. He was sucked into the rapids and drowned. Rau's death was the fifth drowning fatality in the Moab area this year, a number police said is the highest in more than 20 years. It also was the second death at the same rapids in less than two months; an Ohio man drowned in the same spot Memorial Day. "The river is taking its toll this year," said Grand County Chief Deputy Curt Brewer. He attributed the rise in part to the large number of people boating and swimming. Rau was on a private trip with a group of family and friends, Brewer said. They were traveling on three rafts between the towering red-rock walls of Westwater Canyon. He was riding with his mother , who Brewer said has about 25 years of rafting experience, and a family friend. They hit the class-3 Funnel Falls rapids about 1 p.m. Something went wrong and the raft overturned, dumping all three into the Colorado . Rau dropped out of sight in the churning water. He was wearing a life jacket, but his illness limited his mobility, Brewer said. A nearby kayaker saw him get sucked under by a second class-3 rapids, Skull Rapid. He stayed under for about 15 minutes, until two kayakers just beyond the rapids pulled him out of the water and onto another of the rafts. Someone started CPR and the group paddled out of the remote canyon to the Cisco takeout, about an hour away, and called for help, Brewer said. When paramedics arrived, they couldn't revive him. He was pronounced dead at the scene. Grand County Sheriff Jim Nyland said that the group was well-prepared and experienced. "It's just an unfortunate situation," he said.